That’s one of the most common sentences I’ve heard lately as a South Houston native. My story is the same. My house flooded. 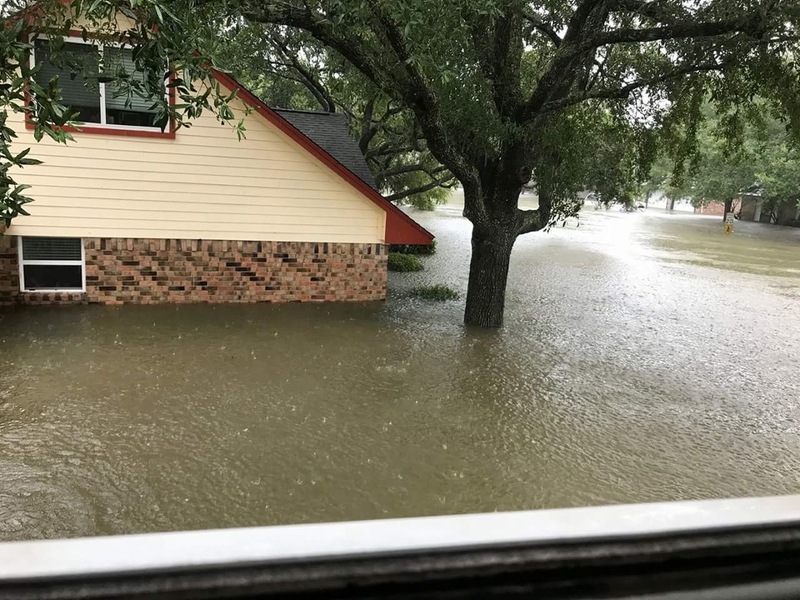 Hurricane Harvey turned many people’s lives upside down, including my own. I live right on a creek. It was a beautiful wooded lot, filled with raccoons and owls and snakes. We had a large backyard complete with a pool. It was our own private paradise. There was room to run around with the dog or to kick soccer balls over the fence or to tan in the summer sun. The house was an old two-story home, filled with imperfections and character. There was a door frame tracking the family’s life in inches. There was a smiley face drawn into the texture of the wall. There was memory after memory symbolized by a window or a picture. This is not an easy decision. I prayed over it, talked with Greg about it, and researched more than my brain could stand sometimes. We hope to see them again - the community, happy smiling faces, ready to share their culture and history.